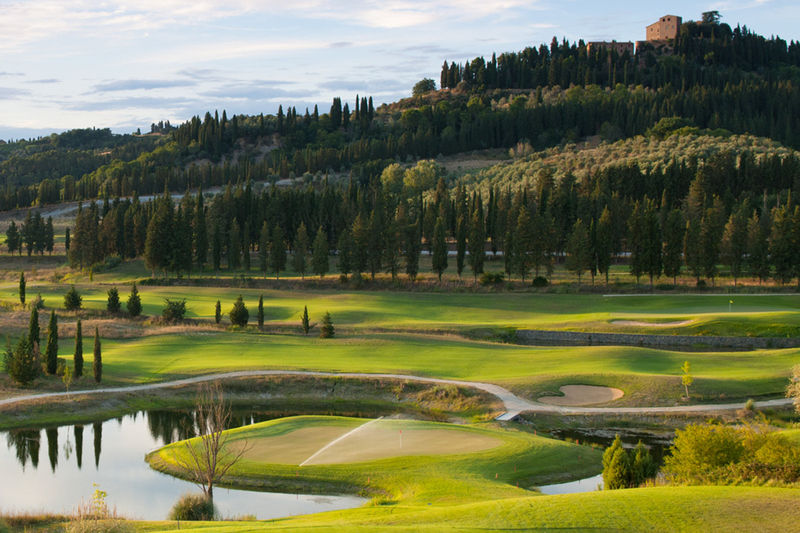 A few kilometers from the agritourism, you can practice golf at the new Castelfalfi Golf Club, with 27 holes. With its 27 holes, it is challenging also for experienced players, and guarantees fun time to beginners and practitioners, providing also a practice pitch for those who have never tried before, some covered bays for conducting clinics and a small Club House with a bar and a terrace. Both routes were born from an accurate re-design of an pre-existing golf course, designed by a prestigious couple of architects, with great experience and sensitivity: Rainer Preissmann and Wilfried Moroder, both associated EIGCA – European Institute of Golf Course Architects – London. The Mountain Course (par 72 – 6,351 meters), internationally awarded with the 3rd prize in the prestigious “GOLF INC. The “Renovation of the Year Award 2011” is a Champions Course, challenging and very technical, but it can fits with less experienced players through 5 hit distances. The Lake Course (Par 37, 3,171 meters) was born from the desire to create a path for everyone, whatever their handicap, but technically and strategically engaging.